Did your last RFP for professional commercial cleaning services deliver what you really need? It’s one thing to write an RFP. And it’s another thing to write an RFP right. Do it right – and you expedite your hiring decision-making process. Do it wrong – and you have to revisit the task sooner than later. We have taken the time to provide you with an eGuide to help. 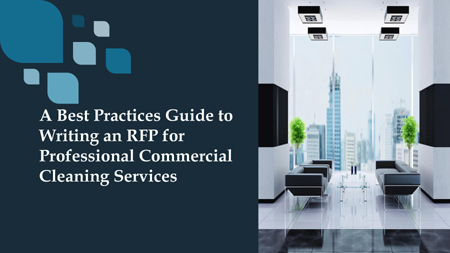 It will give you a quick walk-through of things that you need to include with your next RFP. We understand what you face in the decision-making process. And we want to help you create an RFP that win-win situation for you, and your commercial cleaning services provider. And one that takes rehiring and resubmitting an RFP for commercial cleaning services off your list of things to do!